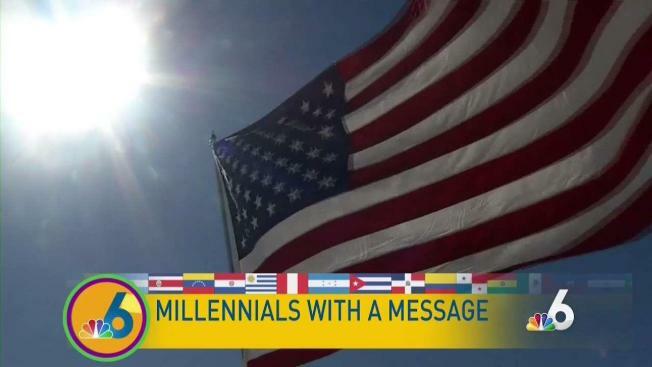 Millennial activists are hitting the streets like never before to advocate not only for themselves, but for something else that impacts a lot of Latinos – immigration policies. NBC 6's Amanda Plasencia reports. Millennial activists are hitting the streets like never before to advocate not only for themselves, but for something else that impacts a lot of Latinos – immigration policies. From DACA, to TPS to family separations, Latinos are facing a host of ever-changing issues across our borders. “We need to do something drastic and we need to standup,” said Julio Calderon of the Florida Immigrant Coalition and FLIC Votes. Calderon is fired up. He can’t hide his passion to be a voice for Latino immigrants, as he’s been in their shoes himself. “We had to cross the border as an unaccompanied minor,” said Calderon. At the age of 16, Calderon said he made the tough decision to leave the horrors going on in his homeland of Honduras. His mother was already living in the U.S., but could not petition for her kids to come. Calderon and his siblings spent 30 days by themselves crossing the Mexican border into the United States. “There were a couple of instances where we had to walk a lot in the middle of the night where we had nothing to eat but just a little bit of tortilla and cheese,” said Calderon. Since his arrival as an unaccompanied youth, Calderon has hit the ground running with his activism for immigration reform. He’s been working with the Florida Immigrant Coalition helping others like himself navigate recent changes in policies, as well as the emotional turmoil of the possibility of being sent back to an unstable situation in their native countries. “For me, every change in policy hits home. Whether it’s TPS because my parents have TPS, whether it’s DACA, because my little brother has DACA, whether it is to the undocumented community because I am undocumented or those who need to vote because my sister is a U.S. citizen. We have a family of six and have four different statuses so that says a lot about the broken system we have in the U.S.,” said Calderon. Around 300,000 Salvadorans and Nicaraguans are in limbo as the Trump administration decided not to extend their temporary protected status. Hondurans were given a waiting period of six months. The uncertainty of DACA legislation is also affecting undocumented students searching for a brighter future in the U.S. Through his activism, Calderon is still fighting these battles to make sure immigrants are protected on the federal and state level. 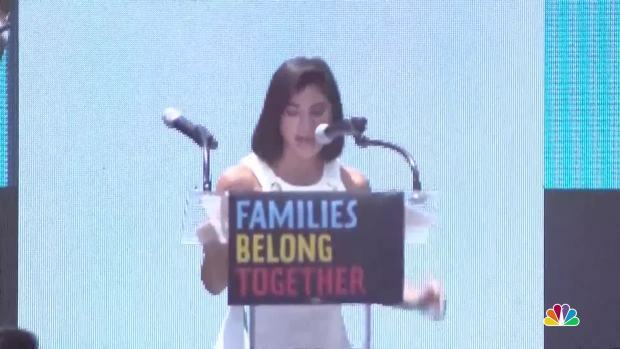 “It is an urgency and we need to be able to fix this problem for more than 1,000,000 undocumented youth who are in limbo, who can be facing deportation,” said Calderon. When it comes to activism, Calderon isn’t the only millennial taking charge trying to change the narrative surrounding immigration issues affecting Latinos. Dr. Michael Lenaghan, a professor of social sciences at Miami-Dade College, has witnessed the civic engagement of his young students who have recently arrived in the United States. “In America, anybody can make a difference. You just have to get organized and these newly arrived millennials got it quickly. I would describe them as an interesting combination of essentially self-motivated people who come not looking for something but looking to create value where they feel that value might be protected,” said Dr. Lenaghan. Various conflicts across Latin America sparked South Florida’s diverse and young population. “Young people of varying circumstances, not just rich people displaced by dictators or folks displaced by civil war, but other pressures like gang difficulties,” said Dr. Lenaghan. As for Calderon, he has a message for other youth activists out there. “I think that if we really want to build the future that we want to see as millennials, we need to be in the spaces where we can represent ourselves and change policy the way we want to see it,” said Calderon.